Great waterfront location in desirable Four Rivers! Room for a large yacht at your private dock!. over 150 Ft. of waterfront. 5 bedroom home over 3,600 sq. ft. with 3 car garage and new metal roof in 2018. 36 foot pool with expansive 100 ft. patio. 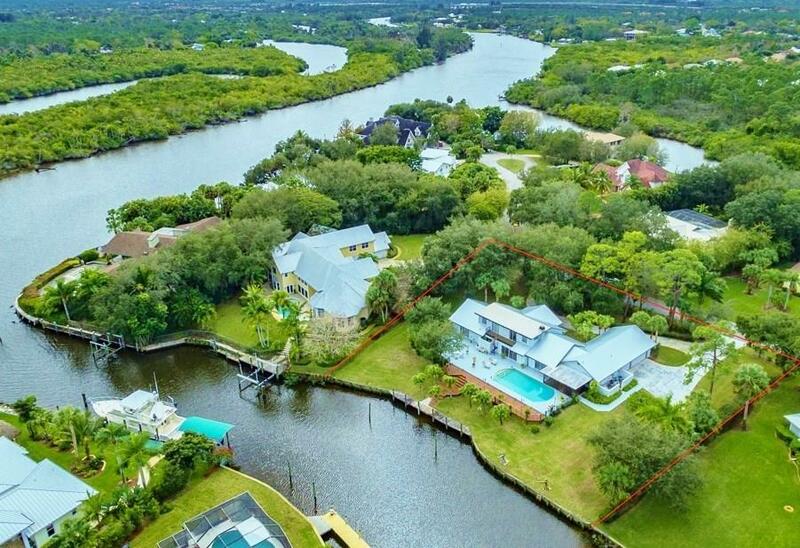 The property is over 3/4 acre and sits high above the waterway. Flood insurance is not required here! Plenty of driveway parking for a multitude of vehicles. RV and boat/trailer parking is allowed. All A rated Palm City schools and a convenient location for commuting to I-95 and the Turnpike.